I've been lusting after this palette for so long, so many bloggers have raved about this little baby I needed it in my life. I spotted it in a blog sale just before Christmas so this cost me a tiny £8 and it's worth every penny. 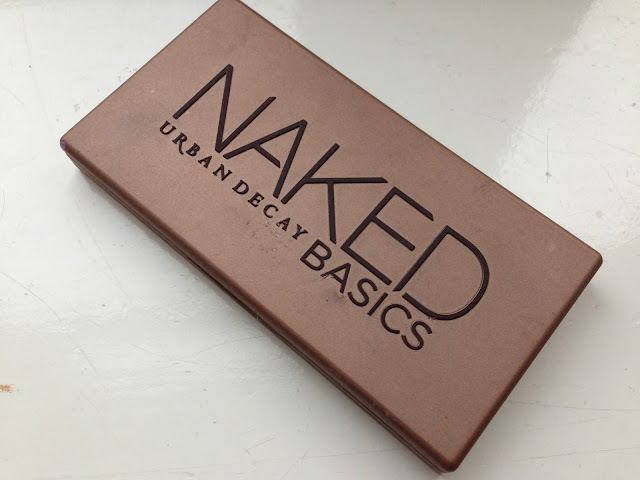 This is actually the first of the Urban Decay palettes I've tried. Up until the end of last year I really wasn't a huge eyeshadow wearer, but I've slowly but surely started wearing it in my every day routine and now I'm obsessed. 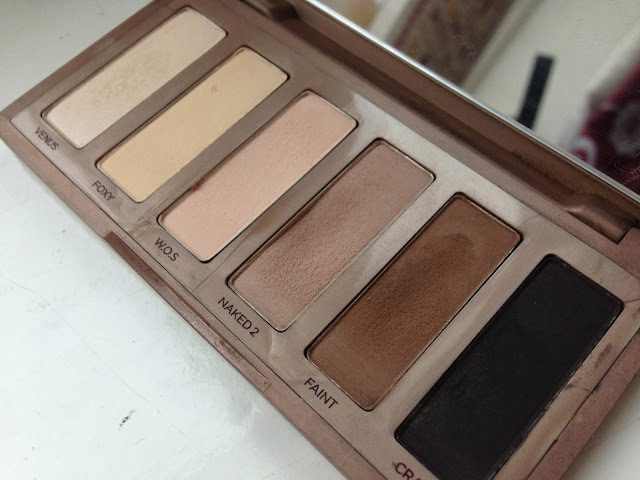 This is the perfect palette for newbies like me - the neutrals are gorgeous and last on my lids all day. My favourite everyday colours are Naked 2 and Venus. Naked 2 is a really natural looking colour that just adds a little something to your eye. Venus is an amazing shade to blend with and works really well for highlighting my brown bone too. The only colour I'm a little unsure of is Crave aka black. It's a little scary for me and I'm not really sure what to do with it other than to use as a sort of eyeliner - so if you have any tips on wearing black eyeshadow, end them my way. Other than that, this is the ideal palette for someone starting out with make up or for people who travel a lot, I really can't fault it. It's the perfect size for throwing in your bag and you have all the colours you could need for creating a day to night look. I'm in love. Have you tried this palette? Also if anyone has a really basic eyeshadow/smokey eye tutorial please leave the link, i'm rubbish at applying shadows! I really want this! I don't wear eyeshadow every day but I love a smokey eye! Wow what a bargain, I love the Naked 1/2/3 palettes and definitely don't really need this palette too but it's so nice and I love matte eyeshadows. 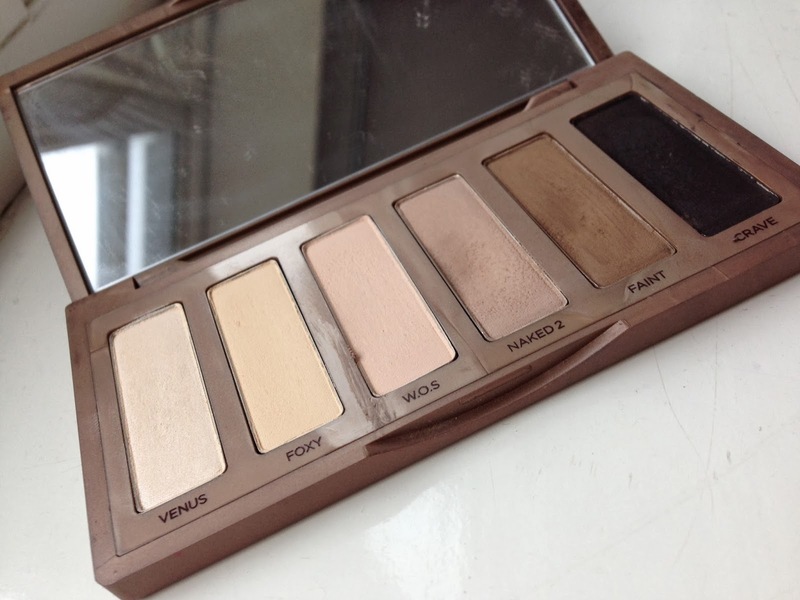 The Naked Palettes are amazing! It's brilliant how you got it so cheap; I must keep an eye on blog sales! I am thinking about picking this up! Black would be great in the triangle of the eye, with a light hand! what a bargain! Ive asked for this for my birthday, it looks fab! I haven't tried this yet! Wow such a great bargain can't believe you got it for that much! I love this palette and been using it everyday since i got it! I want this so bad!!!!! You got it for a great price! I want this so bad! you got an amazing deal!